The Russian Defense Minister’s announcement of his country’s countermeasures to “Israeli” recklessness in Syria shouldn’t be celebrated right away as the country’s salvation from foreign conventional aggression because the situation isn’t as clear-cut as some will expectedly simplify it as. Russian Defense Minister Sergei Shoigu announced his country’s comprehensive countermeasures to “Israeli” recklessness in Syria following what President Putin previously described as last Monday’s “chain of tragic circumstances”, which the military chief said will include the dispatch of the long-delayed S-300 air- and missile-defense systems, improved training of the Syrian Arab Army (SAA) and their equipping of new systems to better identify Russian planes, and electronic jamming of foreign radars, satellite navigation equipment, and aviation communications near Syria’s borders. Prime facie, it looks like Russia is finally creating the “bubble” that its most zealous supporters fantasized about (and in some cases, falsely reported) for years now, but the reality is actually a lot more sobering. Hypothetically speaking, the successful creation of this fabled “bubble” would be very good for Syria’s interests because it would see the country entering into a de-facto mutual defense relationship with Russia by virtue of Moscow’s military being responsible for protecting the Arab Republic from the conventional manifestation of outside aggression. This would in theory keep “Israeli” and American planes and missiles out of Syria’s skies, thus enabling the SAA to liberate the Kurdish-controlled northeast without any fear of retribution like what happened in February during the Disaster at Deir ez-Zor. So far, so good, but the fact is that Russia probably won’t commit to creating an impenetrable “bubble” because it lacks the “political will” for the World War III-style brinksmanship that this would inevitably entail. All that Russia is doing is signaling to “Israel” (and also the US) that all of its forthcoming strikes in Syria must be coordinated with Moscow well in advance in order to prevent another tragic incident like what transpired last Monday night, and that the failure to do so will see Russia taking electronic countermeasures to make “Israeli” units more susceptible to Syria’s forthcoming improved aerial defense systems. It is not, as some will probably assume, discontinuing the “deconfliction mechanism” that was agreed to by both parties in September 2015 just prior to the commencement of Russia’s anti-terrorist intervention in Syria. Instead, Russia is simply doing what some might have thought it should have done three years ago, and that’s create a credible enforcement system for incentivizing “Israel” to “play by the rules” unlike it’s been doing over the past 18 months. The Russian Ministry of Defense stunningly acknowledged that “Israel” only notified Russia 25 out of the more than 200 times that it bombed Syria over the past 18 months, portraying this as a breach of trust after all that Moscow had done for Tel Aviv during that time. Defense Ministry spokesman Igor Konashenkov continued by saying that Russia secured the withdrawal of pro-Iranian forces from areas near the “Israeli”-occupied Golan Heights, contributed to preserving Jewish graves and sacred sites in Aleppo, and even once dispatched a special forces team to search for “Israeli” remains from previous conflicts during the midst of a heated battle between the SAA and Daesh. Monday night’s tragedy was apparently the last straw, and Russia’s “Traditionalists” were able to finally convince President Putin to “rebalance” the Russian “deep state’s” foreign policy away from the “Progressive” faction and towards their own in this instance. Being the supreme “balancer” that it is, however, Russia isn’t by any means decisively siding with “the Resistance” against “Israel” like this decision will probably be popularly interpreted as, because there are always “loopholes” to what it’s doing. For example, the “deconfliction mechanism” is still in place, so “Israel” can still theoretically bomb Syria so long as Russia approves and is given adequate notice in advance. Even in the cases where it isn’t, there’s nothing stopping “Israel” from lobbing missiles at Syria from within its own airspace instead of sending warplanes across the border on bombing missions. 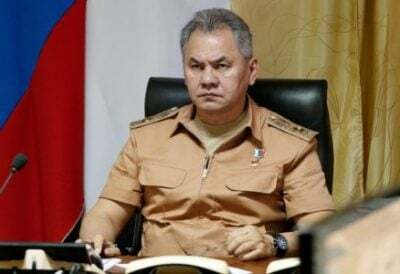 These munitions could possibly be affected by Russia’s electronic jamming countermeasures, but it should be noted that Shoigu said that Russia’s response will be directed against “warplanes” and didn’t specify whether missiles will fall within its purview. “Israel” did previously say, however, that it would destroy the S-300s if they end up targeting its jets, which would naturally happen sometime after the next two weeks once they’re delivered to Syria, so it’s likely that Tel Aviv will “test” the limits of Moscow’s resolve and actively probe for as many “loopholes” to its “political will” as possible. To be clear, there is close to no chance that “Israel” will attack the S-300s if Russian servicemen are nearby, but there’s an equally improbable chance that Russia will order its soldiers to serve as de-facto “human shields” protecting these systems, so the S-300s might figuratively be “fair game”. Additionally, the S-300s could probably down small numbers of “Israeli” missiles with ease, but might have difficulty responding to overwhelming swarms of them. If these systems fail in defending Syria for whatever reason, then it would be a huge “embarrassment” for Russia and would undercut its competitive edge in the international arms market. Even in the event that they succeed in taking them all down, it’ll be very expensive for the Arab Republic and will probably result in Damascus taking out loans from Russia or trading resource contracts with it to pay for the additional armaments that it’ll need to remain readily supplied for responding to any other forthcoming attacks. Furthermore, the unanswered question that should be on the mind of most astute analysts is whether Russia cut a deal with “Israel” to more actively “manage” Iranian activity in Syria on its behalf in order to avoid “provoking” Tel Aviv and getting it to “test” the “tripwires” of Moscow’s electronic countermeasures that could inadvertently escalate the tense situation to a crisis level. After all, Russia is already “balancing” Iran in the Mideast and it knows that the “Israeli” military will not allow Syria to turn into an “Iranian base” and “existentially threaten” the self-proclaimed “Jewish State” (as Tel Aviv sees it). There are two schools of thought concerning the consequences of Russia’s response to “Israel”, with some thinking that they’ll amount to Syria’s salvation from foreign conventional aggression while others are more pessimistic about whether they’ll really change all that much. About the first one, the hypothetical creation of an impenetrable “bubble” over Syria would shield the country from “Israeli” and American air and missile strikes, but only on the condition that Russia has the “political will” to enforce its electronic countermeasures without allowing for any “loopholes” and Syria’s S-300s are successful in taking out all incoming threats. The second school, however, questions whether Russia truly has the “political will” to engage in the World War III-style brinksmanship that this would inevitably entail, as well as whether there will indeed be no “loopholes” whatsoever and if the S-300s (which have never been tested in a conflict) will really perform was perfectly as expected. The fact that Shoigu didn’t announce Russia’s withdrawal from either of the “deconfliction mechanisms” that it has with “Israel” and the US suggests that the “bubble” will indeed have more than its fair share of “loopholes”, though the “wild card” will of course be whether Syria goes along with this or not.